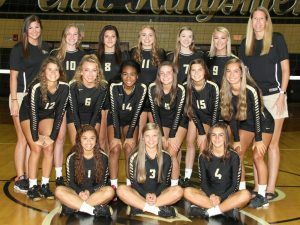 Penn outlasted NorthWood, 25-11, 25-15, 23-25, 27-25, on Tuesday, Aug. 15, in the high school volleyball season opener for the Kingsmen. Italia Fields and Alyssa Torres powered the Kingsmen attack with 10 and 9 kills respectively. Rachel Hickey contributed 19 digs. Penn (1-0) plays at Plymouth on Thursday.